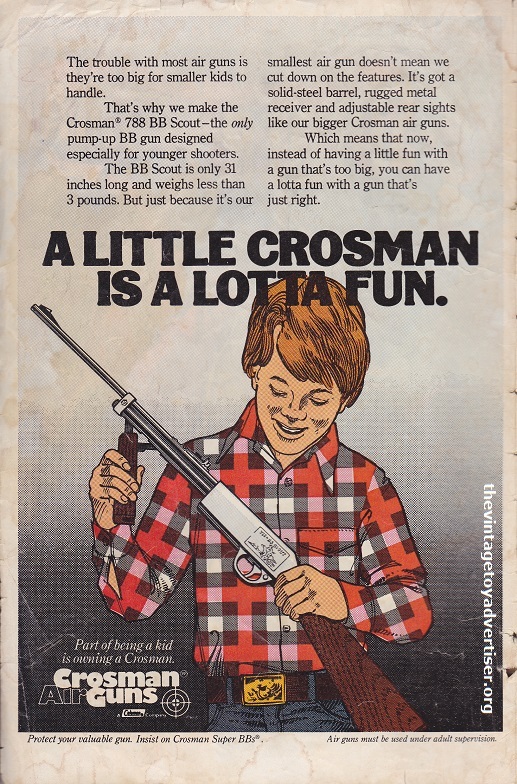 The Crosman Rifle Company began life in 1923 producing airgun pellets. 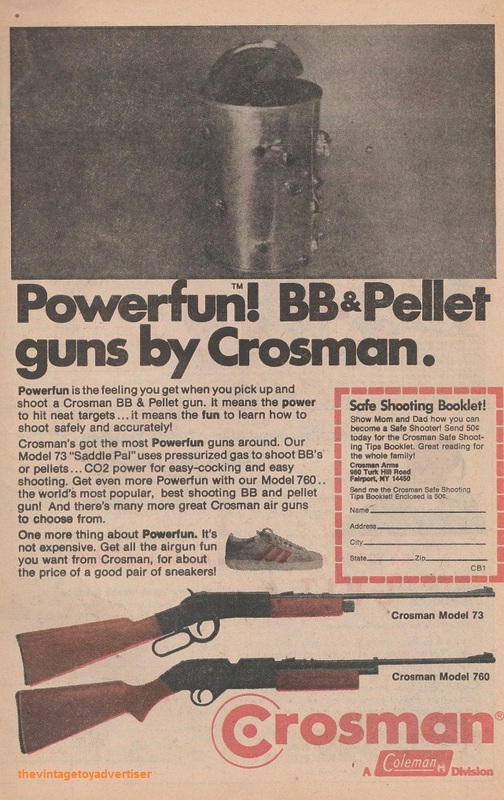 This was soon followed by the production of their own airguns which continued well into the subsequent decades. 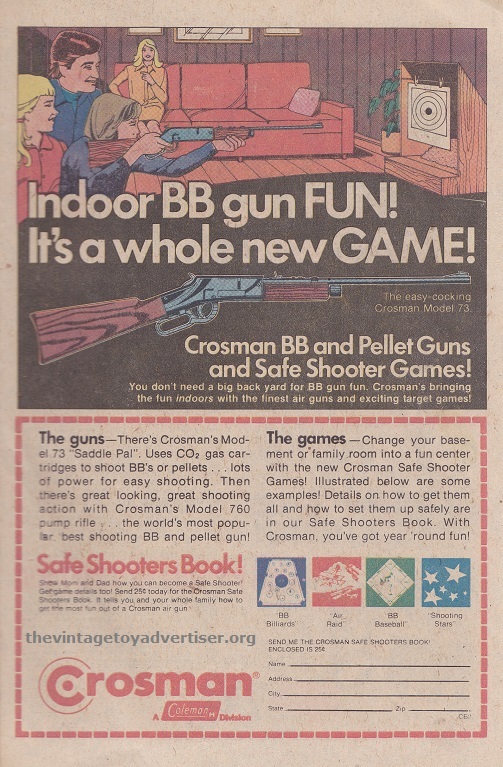 Ninety years later, the Crosman company continues to produce its airgun range as well as airsoft and optical equipment. 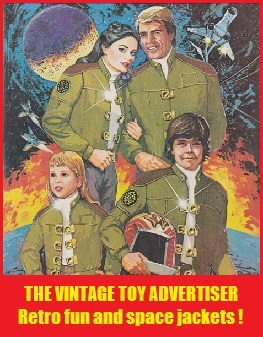 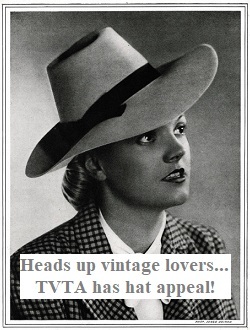 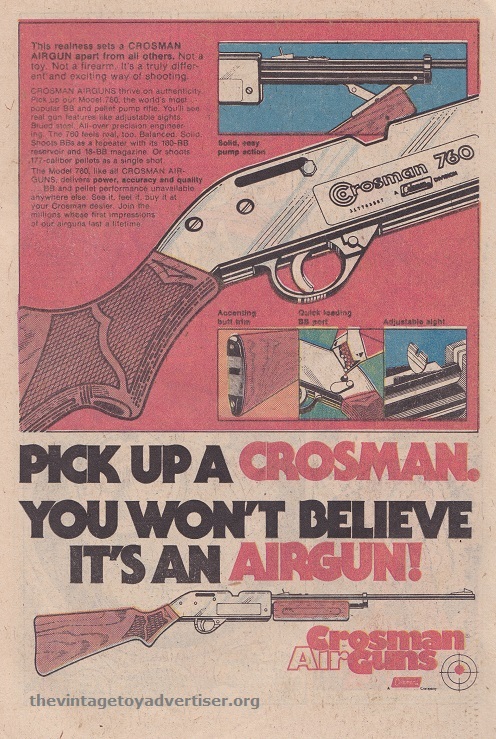 This entry was posted in CROSMAN AIRGUNS and tagged air rifles, Crosman Airguns, vintage adverts, vintage airgun adverts on April 25, 2015 by The Vintage Toy Advertiser.